Scott T2 Kinabalu 2.0 Review - Buy or Not in Apr 2019? 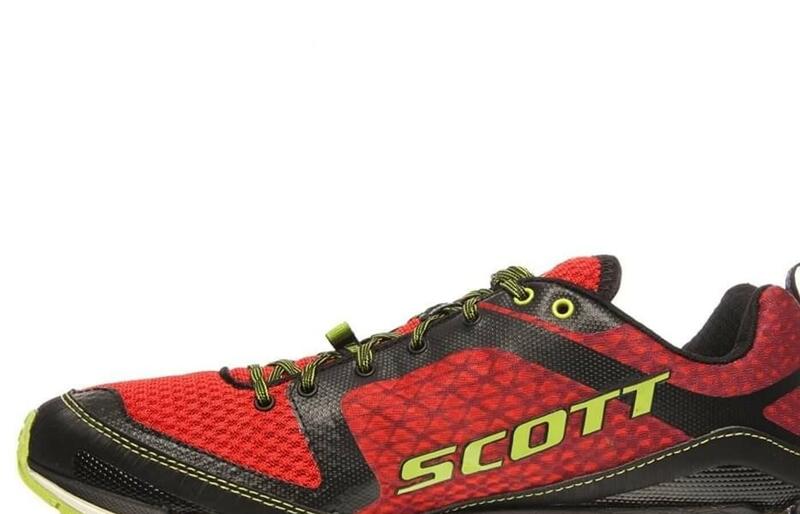 Scott is known first for their amazing biking equipment and gear, second for their triathlon shoes, and third for their new foray into the trail shoe world. 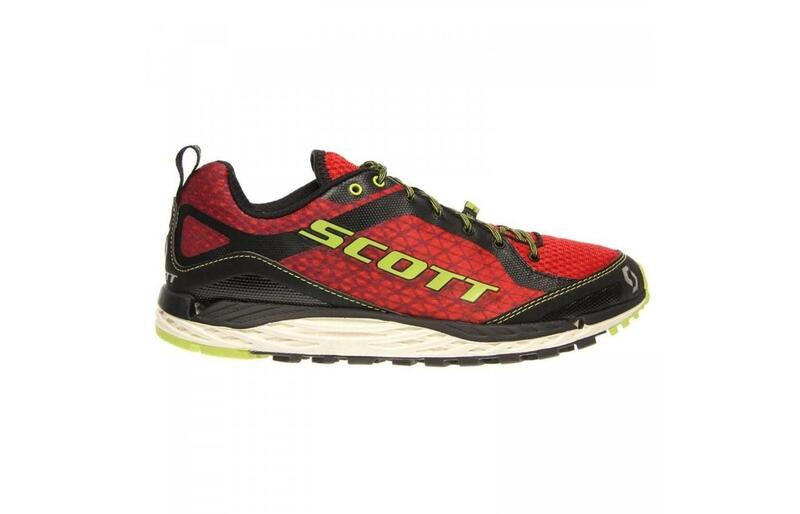 Like all things that the Scott brand does, these trail shoes are high quality and a good choice for the athlete who is more worried about quality than they are the price. Although quite heavy, this shoe packs a punch in the durability and protection areas in the upper which is water resistant and does an excellent job of keeping debris out of your way. The outsole, while thicker than some, quickly adapts to the foot giving the runner greats responsiveness. Runners rave about the traction on this shoe and swear that it can hold to up to the toughest weather. It is even water resistant! Try finding a good quality trail shoe, that is water resistant, durable, and e provides great underfoot cushioning for less than one hundred and fifty dollars. Some runners felt that the outsole of this should have been more durable and protective. It is lined with lugs in a triangular pattern that creates great grip for the runner, but it doesn't deliver the same level of quality in the durability area of the outsole. It also comes with a nice protective element that Scott calls the "push-through plate". This is a rock guard that can be found around the midfoot and helps to protect against debris. The shoe does a nice job of including protective elements in the outsole, but the problem is that they tend to wear down. The upper has a roomy toe box. This allows the feet to fully spread out, reducing the risk of irritation that can lead to hot spots and blisters. In addition to the roomier toe box, Scott utilizes a few simple, but vital elements in the upper to create a great trail running shoe. For one, it offers a unique technology under the laces to tighten the shoe through the upper. This is a great addition because it keeps the foot feeling secure and protected on runs. Speaking of the laces, Scott uses a lace that is specially coated in a material that will keep it from untieing. The midsole features Scott's pattened Aero Foam material. This foam offers maximum cushioning but it also is more lightweight than other potential midsole materials. Runners feel that this foam moulds quickly and easily to the foot and provides good arch support. There are certainly pros and cons to this upper. At first glance, it appears that the upper is not made of a very breathable material, and once worn, runners will attest to the truth in that judgment. Unfortunately for this shoe, and the runner sloshing through the trail in it, the upper is not very lightweight nor is it very breathable. However, what the shoe lacks in breathability, it makes up for in durability and protection. Trail runners know the importance of an upper that can keep debris out of the shoe and keep the foot safe from the damage that can cause. This upper does a great job of rejecting debris and the material is extremely durable, allowing it to hold up to the elements and miles. In fact, the upper is so rugged and durable that it is actually resistant. Runners reported that these shoes provided a good amount of support and cushioning, but that those elements certainly weighed the shoe down. This is a heavier shoe that also feels heavy. It is not a shoe that is suggested for fast workouts such as tempo runs, sprints, or fartleks. This shoe scores low marks for breathability. The upper made from a mesh material, but it is not breathable. It is clear that this shoe worked hard to provide a protective, durable upper, and it forgot that the shoe also needs to provide air flow to the runner. Many runners suggested that this is a good shoe for cooler climates, but runners who used this shoe during hot runs said that their feet felt too suffocated. The Aero Foam midsole is the perfect companion for the runner who needs more support and is looking for more comfort on the trails. This foam is lightweight but still durable and it moulds right to the foot to give an amazing fit and added comfort. Some runners with wider feet commented that they had a hard time feeling totally comfortable in these shoes, so if you are a runner with a wider foot, you may want to look elsewhere. I can't say enough about Scott's style and color choices. They are bright. They are bold. They are fun! If you are a runner who likes to get attention from the shoes they choose to wear, these will be a sure-fire hit with you! Lots of trail shoes look like a rugged hiking shoe, but this one looks more like a fashion-forward road-racing shoe than something you would expect to see in the backcountry. This shoe receives mixed reviews in terms of its durability. The Aero Foam of the midsole receives high marks. Runners report that this foam holds its shape and doesn't break down easily even after lots of miles. Another winner in durability is the upper. This upper is made from a synthetic mesh and is reinforced with an interesting, almost honeycomb-like material on top of the upper material. It can hold up against the elements of the trail is even water resistant. However, the outsole is the point of contention for some runners. It is grippy on the underfoot, but some runners reported the rubber used in the outsole is not thick or durable enough to protect against the elements on the trail. A unique protective element on this shoe is the laces. Now I know this might not seem like a protection issue at first, but consider how many injuries are caused by the shoelaces that have come undone. The Kinabalu laces are dipped in a special material prevents them from untieing. Another protective element to these shoes is the extra grippy underfoot. Runners reported feeling safe in a variety of dangerous conditions including snow, rain, and mud. One of the things runners struggled with on this shoe is that they claim the outsole isn't thick and protective enough; however, some reported that this was actually a pro because it helped them feel the trail better below their feet. This allowed them to respond more quickly to the changing terrain and reduce the risk of rolled or twisted ankles. This trail shoe is a winner among heavier runners. They love the added cushioning provided through the mid and outsole of this shoe. This added cushioning does come with a price though. Runners also reported that the shoe felt heavy and wasn't ideal for fast movement. This is just a matter of preference, and a good trail shoe is always going to toe the lies between being too supportive or too light. This is a shoe that is certainly designed for the trail. Certainly, elements like the extra grip on the underfoot and the water and debris resistance of the upper make this a great trail choice. However, because the outsole isn't overly thick or rugged, it can also be used to log light miles on the roads too. Get that wallet ready. While we know that some trail shoes can run upwards to two hundred dollars, this shoe is not going to be much cheaper than that. You can find this shoe for under one hundred and fifty dollars, but you shouldn't expect to pay much less than that. It could be argued that in the sport of running, all you really have to invest in is a good pair of running shoes. It is all personal preference on how much you are willing to spend on that investment. If you flip these shoes over, it becomes clear why they feel so darn sticky. There is a uniquely durable grip added to the heel and grooved slots along the bottom the ensure that runners feel safe on any terrain while out on the trails. The outsole is specifically designed to handle the muddy, wet, and uneven terrain that the trail can throw your way. This is a heavier shoe, and it does come with great cushioning in the midsole due to the Aero Foam technology that is used, but that doesn't make this a stiff shoe. Runners report that it was still easy to move around in this shoe and it didn't feel cumbersome. However, because of the thickness and durability of the upper material, runners did find this area to be a bit suffocating. This is a shoe that offers a good amount of stability qualities. The arch support is great in these shoes and it offers great energy return, propelling the runner forward and reducing fatigue on the legs. This shoe is not for the runner looking for a zero drop or minimal feel. 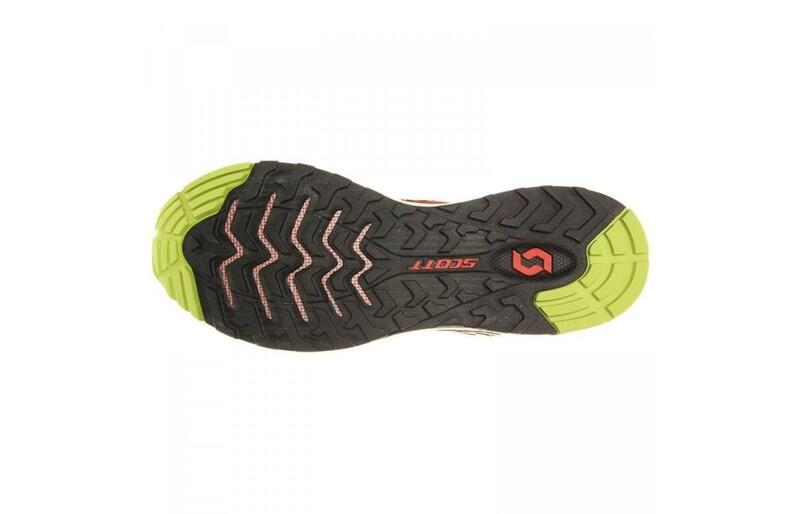 The eRide technology used in this shoe provides the runner with a great distribution of energy across the foot. This technology actually works to improve a runner's stride over time. This shoe has a more traditional 11-millimetre drop. Some argue that a higher heel drop is a better choice for trail running because it gives you that added level of support and protection that a zero drop shoe cannot provide. This is all personal preference of course, but if you want a trail running shoe with a higher heel drop, this is a good choice. 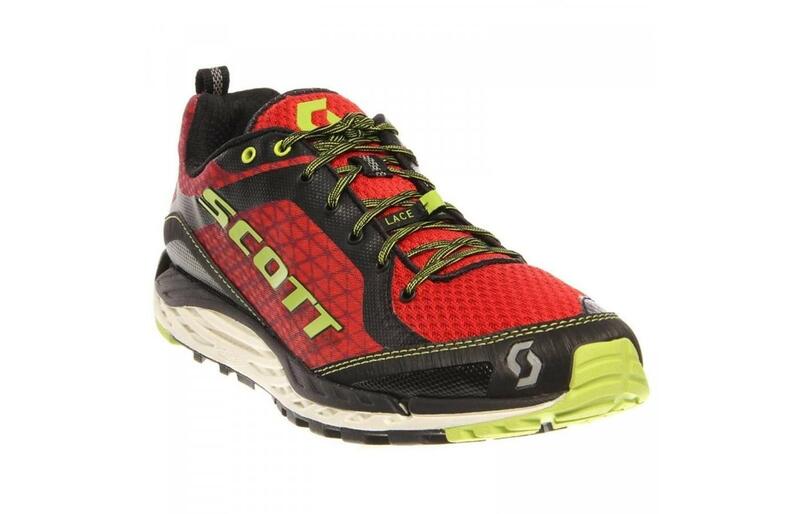 The Scott T2 Kinabalu 2.0 is a fine trail shoe. It is durable enough, especially in the upper, to keep debris and the elements at bay, it is grippy enough in the outsole to allow the runner to fear no weather pattern, and it is cushioned enough in the midsole even for heavier runners. The price is high, but if cost is not a top priority for you then this isn't a deal breaker. 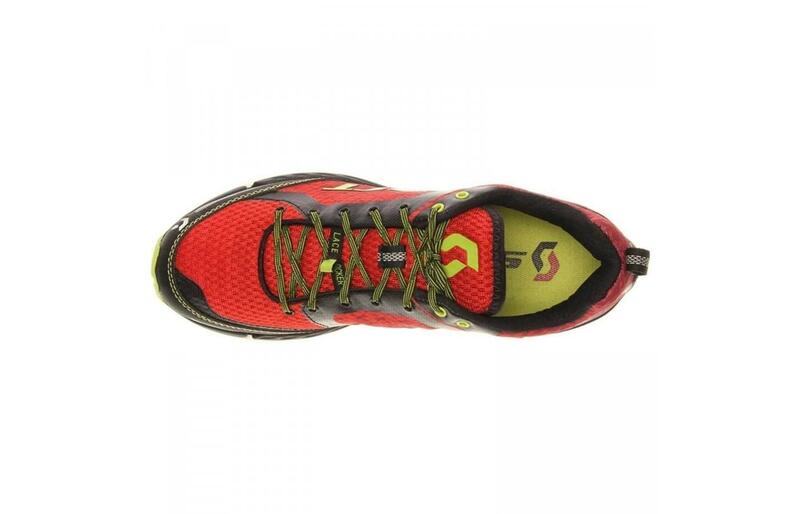 If cushioning and weather resistance are your key concerns, this is a good trail running partner for you.